Ismail Güvenç received his B.S. degree from Bilkent University, Turkey, in 2001, M.S. degree from University of New Mexico, Albuquerque, NM, in 2003, and Ph.D. degree from University of South Florida, Tampa, FL, in 2006 (with Outstanding Dissertation Award from USF Graduate School), all in Electrical Engineering. He was with Mitsubishi Electric Research Labs in Cambridge, MA, in 2005, and with DOCOMO Innovations, Inc., Palo Alto, CA, between 2006-2012. Since 2012, he has been an assistant professor at Florida International University, Miami, FL. His recent research interests include heterogeneous networks, D2D communications, and LTE systems. He has published more than 80 conference and journal papers, and several standardization contributions for IEEE 802.15 and IEEE 802.16 standards. Dr. Guvenc continuously serves in the technical program committees of international conferences such as ICC, GLOBECOM, WCNC, and VTC, has been in the organizing committees of ICCCN-2008 (sponsorship co-chair) and ICCCN-2009 (local arrangements chair), and has served as the leading guest editor for EURASIP Journal on Wireless Communications and Networking (Special Issue on Femtocell Networks) and a guest editor for IEEE Journal on Selected Topics in Signal Processing (Special Issue on Heterogeneous Networks). He co-authored a book on ultrawideband position estimation published by Cambridge University Press, and co-edited two other books for the same publisher in the areas of short-range wireless communications and small cell networks. Dr. Guvenc holds 20 U.S. patents, and has another 7 pending U.S. patent applications. Walid Saad received his B.E. 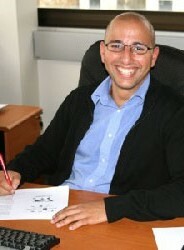 degree in Computer and Communications Engineering from the Lebanese University in 2004, his M.E. 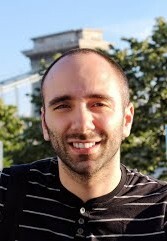 in Computer and Communications Engineering from the American University of Beirut (AUB) in 2007, and his Ph.D degree from the University of Oslo in 2010. Currently, he is an Assistant Professor at the Electrical and Computer Engineering Department at the University of Miami. Prior to joining UM, he has held several research positions at institutions such as Princeton University and the University of Illinois at Urbana-Champaign. His research interests include wireless and small cell networks, game theory, network science, cognitive radio, wireless security, and smart grids. He has co-authored one book and over 70 international conference and journal publications in these areas. He was the author/co-author of the papers that received the Best Paper Award at the 7th International Symposium on Modeling and Optimization in Mobile, Ad Hoc and Wireless Networks (WiOpt), in June 2009, at the 5th International Conference on Internet Monitoring and Protection (ICIMP) in May 2010, and at IEEE WCNC in 2012. 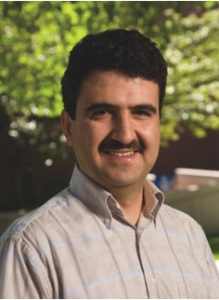 Dr. Saad is a recipient of the NSF CAREER Award in 2013. 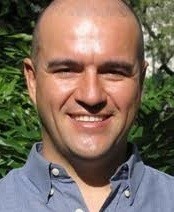 Murat Yuksel is an Associate Professor at the CSE Department of The University of Nevada – Reno (UNR), Reno, NV. He was with the ECSE Department of Rensselaer Polytechnic Institute (RPI), Troy, NY as a Postdoctoral Research Associate and a member of Adjunct Faculty until 2006. He received a B.S. degree from Computer Engineering Department of Ege University, Izmir, Turkey in 1996. He received M.S. and Ph.D. degrees from Computer Science Department of RPI in 1999 and 2002 respectively. 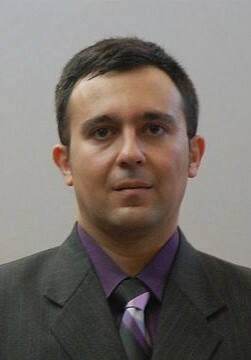 His research interests are in the area of computer communication networks with a focus on protocol design, network economics, wireless routing, free-space-optical mobile ad-hoc networks (FSO-MANETs), and peer-to-peer. He published more than 100 papers at peer-reviewed journals and conferences and is a co-recipient of the IEEE LANMAN 2008 Best Paper Award. He is a senior member of IEEE, life member of ACM, and was a member of Sigma Xi and ASEE. Luca Rose was born in Pisa, Italy. He received his B.Sc. degree in telecommunications engineering from the University of Pisa, Italy. In 2009 he received his M.Sc.degree with honours from the same university, developing a real-time software radio implementation of the demodulation system of a DVB-T receiver. From 2009 to 2010 he worked within the SDR4ALL project developing the IP FPGA code for the new software defined radio peripheral. Since 2010, he has been attending his PhD studies on Game theory and Learning theory for resource allocation in decentralized ad hoc networks as a member of the Alcatel-Lucent chair in flexible radio in Supélec, sponsored by Thales Communications & Security. Furthermore, he holds a position as research engineer in Thales in the context of the project CO.RA.S.MA (COgnitive RAdio for dynamic Spectrum MAnagement). In 2014 he joined SIGFOX, where he actively contributed in designing the receiver digital signal treatment chain, as well as ideating development tools for M2M communications. In May, he joined the Huawei French research center on algorithms for 5G communications. His interests span from the field of software radio to the field of Game theory and Learning theory, small cells, and distributed resource allocation. 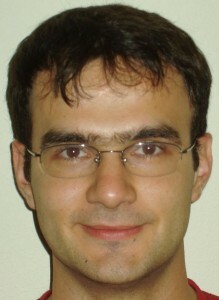 Abolfazl Mehbodniya received his Bachelor’s degree and his Master’s degree in electrical engineering from Ferdowsi University of Mashhad, Iran in 2002 and 2005 and his Ph.D. degree from the National Institute of Scientific Research-Energy, Materials, and Telecommunications (INRS-EMT), University of Quebec, Montreal, QC, Canada in 2010. His research interests are in wireless communications, ultra wideband communications, interference management, radio resource management and cooperative relay networks. Neiyer S. Correal received the B.S. degree in electronics engineering from the Pontifical Javeriana University, Bogota, in 1992 and the M.S. degree in electrical engineering from Old Dominion University, Virginia, in 1994, where he was involved with speech recognition at the Speech Communications Laboratory. He received the Ph.D. degree from Virginia Polytechnic Institute and State University, Blacksburg, in 1999. At Virginia Tech, he was a member of the Mobile and Portable Radio Research Group (MPRG). He served as an assistant professor at the University of Florida, Gainesville, and presently is with Motorola Solutions, Inc.. His research interests include public safety communications, wireless ad-hoc networks, communication theory and real-time signal processing. Mérouane Debbah entered the Ecole Normale Supérieure de Cachan (France) in 1996 where he received his M.Sc and Ph.D. degrees respectively. He worked for Motorola Labs (Saclay, France) from 1999-2002 and the Vienna Research Center for Telecommunications (Vienna, Austria) until 2003. From 2003 to 2007, he joined the Mobile Communications department of the Institut Eurecom (Sophia Antipolis, France) as an Assistant Professor. Since 2007, he is a Full Professor at Supelec (Gif-sur-Yvette, France). From 2007 to 2014, he was director of the Alcatel-Lucent Chair on Flexible Radio. Since 2014, he is director of the Huawei Mathematical and Algorithmic Sciences Lab. His research interests are in information theory, signal processing and wireless communications. He is a senior area editor for IEEE Transactions on Signal Processing and an Associate Editor in Chief of the journal Random Matrix: Theory and Applications. Mérouane Debbah is a recipient of the ERC grant MORE (Advanced Mathematical Tools for Complex Network Engineering). He is a WWRF fellow and a member of the academic senate of Paris-Saclay. He is the recipient of the Mario Boella award in 2005, the 2007 IEEE GLOBECOM best paper award, the Wi-Opt 2009 best paper award, the 2010 Newcom++ best paper award, the WUN CogCom Best Paper 2012 and 2013 Award, the 2014 WCNC best paper award as well as the Valuetools 2007, Valuetools 2008, CrownCom2009 , Valuetools 2012 and SAM 2014 best student paper awards. In 2011, he received the IEEE Glavieux Prize Award and in 2012, the Qualcomm Innovation Prize Award. Vincent Lau obtained his B.Eng (Distinction 1st Hons – ranked 2nd) from the department of EEE, University of Hong Kong in 1992. He joined the Hong Kong Telecom (PCCW) after graduation for 3 years as system engineer. He obtained the Sir Edward Youde Memorial Fellowship, Rotoract Scholarship and the Croucher Foundation in 1995 and study for Ph.D. at the University of Cambridge. He completed the Ph.D. degree in 2 years and joined the Bell Labs – Lucent Technologies, New Jersey in 1997 as Member of Technical Staff. He has been working on various advanced wireless technologies such as IS95, 3G1X, UMTS as well as wideband CDMA base station ASIC Design and Post 3G Technologies such as MIMO and HSDPA. He joined the department of ECE, HKUST as Associate Professor in August 2004 and was promoted to Professor in July 2010. He has also been the technology advisor and consultant for a number of companies such as ZTE and Huawei, ASTRI, leading several R&D projects on B3G, WiMAX and Cognitive Radio. 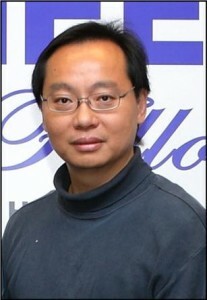 He is the founder and co-director of Huawei-HKUST Innovation Lab. Vincent has published over 200 papers, including around 100 IEEE Transaction papers (IEEE Transactions on Information Theoy, IEEE JSAC, IEEE Transactions on Wireless Communications, IEEE Transactions on Communications, IEEE Transactions on Vehicular Technologies,..etc), 100 IEEE conference papers, 15 Bell Labs Technical Memorandum and contributed to 28 US patents on wireless systems. In addition, Vincent is also the key contributor of 4 IEEE standard contributions (IEEE 802.22 WRAN / Cognitive Radio) which are accepted into the IEEE 802.22 specification. He has received three best paper awards from IEEE ICC 2008, IEEE ChinaCOM 2008 and IEEE CICC 2007 and is a Fellow of IEEE. He is currently an Area Editor of IEEE Transactions on Wireless Communications, a guest editor of IEEE Journal on Selected Areas on Communications (JSAC) – Special Issue on Limited Feedback, a guest editor of IEEE Special Topics on Signal Processing, IEEE System Journal, a book-series editor of the Information and Communications Technologies (ICT) book series for John Wiley and Sons as well as an editor of the EURASIP Journal on Wireless Communications and Networking. Petar Popovski received Dipl.-Ing. in electrical engineering (1997) and Magister Ing. in communication engineering (2000) from Sts. Cyril and Methodius University, Skopje, Macedonia, and Ph.D. from Aalborg University, Denmark, in 2004. He is currently a Professor at Aalborg University. He has more than 160 publications in journals, conference proceedings and books and has more than 25 patents and patent applications. He has received the Young Elite Researcher award and the SAPERE AUDE career grant from the Danish Council for Independent Research. He has received six best paper awards, including three from IEEE. 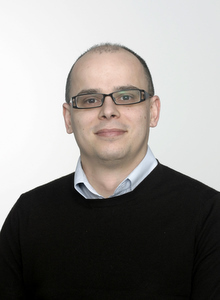 Dr. Popovski serves on the editorial board of several journals, including IEEE Communications Letters (Senior Editor), IEEE JSAC Cognitive Radio Series, and IEEE Transactions on Communications. He is a Steering Committee member for the upcoming IEEE Transactions on Internet of Things and Chair of the ComSoc subcommittee on Smart Grid Communications. His research interests are in the broad area of wireless communication and networking, information theory and protocol design. 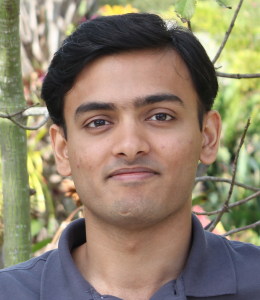 Arvind Merwaday is a doctoral student in Electrical Engineering at Florida International University. His research interests revolve around LTE Advanced networks and Device-to-Device communications, with particular attention to the analysis of capacity and energy efficiency. He received B.E. degree from B.M.S. College of Engineering, Bengaluru, India, in 2008. He joined Cypress Semiconductors India Pvt. Limited, Bengaluru, after graduation for 3 years as Applications Engineer.